Oil exporting countries are beginning to feel major pain as oil prices remain below $30, with Saudi Arabia facing a slashed growth forecast and instability spreading through former Soviet republics. But will Russia step in to save the day? Oil prices remained below $30 on Tuesday, as the International Monetary Fund slashed economic growth projections for Saudi Arabia to the lowest level since the aftermath of the global financial crisis in 2009. The IMF also revised global growth projections, reducing its global growth forecast. Falling oil prices have already hurt many emerging and resource-dependent markets, although financial analysts have suggested that Russia would act as a 'savior' to the global oil market by slashing exports ahead of OPEC. "Lower oil prices strain the fiscal positions of fuel exporters and weigh on their growth prospects," the IMF said, as cited by AFP. Other than pain for oil exporters, the IMF predicted a slowdown in both Chinese and United States' economic growth. Latin America is also expected to slide into a crisis following the recession in Brazil. The decline in oil prices has been felt across nearly all the southern republics of the former Soviet Union (FSU) over the past year, with both political and economic consequences. Even countries without significant oil and gas export capacities, such as Armenia, Georgia and Kyrgyzstan saw growth declines and currency devaluations. Azerbaijan was the single biggest benefactor of the oil boom of all post-Soviet countries, using its vast oil money on a lavish building spree in order to promote the country and its leadership. It was also the one to fall the hardest as the value of its currency declined by over 50 percent. The country also saw social protests, nearly unprecedented in the authoritarian yet relatively-wealthy Azerbaijan, which led to 55 arrests across the country over the past week, according to RBK. The country's opposition parties denied links to the protests, although they recieved warnings, while some local leaders were arrested. The opposition Musavat Party made a statement, distancing itself from the protests, and blaming them on the authorities' failure to control price increases, RBK reported. On the other side of the spectrum, the reclusive and decidedly neutral nation of Turkmenistan has not faced any difficulties with protests, and plans to extend its president's term from five years to seven in the next constitution, which experts see as an attempt to hold on to falling popularity, according to Vestnik Kavkaza. Its exchange rate has also remained unchanged since January 1, 2015, despite falling revenues from its oil and gas. Russia's Gazprom-Export stopped buying natural gas from Turkmenistan on January 1, citing economic issues. While Turkmenistan still sells most of its natural gas to China, its next pipeline, heading to India through Afghanistan and Pakistan is not due to be completed until 2019. Turkmenistan's President Gurbanguly Berdimuhamedow responded to the crisis by firing the country's oil and gas minister and restructuring the ministry, after it failed to enter into new negotiations with Gazprom. Turkmenistan has also shut down sales of foreign currency at exchange bureaus, allowing only online exchange for Visa and MasterCard card holders for foreign trips and online purchases, with a $1,000 per month limit. At the same time, the country's government has taken steps to integrate itself in the international community. On January 12, the country joined the 1886 Berne Convention on copyright, and also created the office of human rights ombudsman. Is Russia the 'Oil-Price Savior'? As the battle for market share continues amid declining prices, Saxo Bank's commodity strategist Ole Hansen predicted a reduction in Russian exports, which would send a signal to Saudi Arabia to also reduce output. The prediction is based on a January 13 statement from Russian pipeline monopoly Transneft, which said that it expects to reduce export shipments in 2016 by around 6.4 percent. The reduction would mean that Russian exports would reduce by around 640,000 barrels per day, according to latest production data. At the same time, Iran announced that it would increase shipments by around 500,000 barrels per day. "It’s sending a sign to the Saudis, 'OK guys, maybe we should have a rethink about oil prices, because now the price is down by another third since early December and this is hurting like crazy.' So a gesture from Russia in that sense could have an impact," Hansen said, cited by MarketWatch. It is unclear, whether the Transneft statement was meant as a signal. Russian energy minister Alexander Novak denied the statement meant a reduction in exports, but only on the evening of the following day, after the Transneft statement was spread in the media. "I think that Transneft makes its forecasts based on companies' requests for pumping. They usually give a conservative estimate, it changes over the course of the year," Novak said on January 14. Novak then said that Russia plans to increase oil exports in 2016 by "literally several million [tons per year]," which would mean a single-digit percentage increase in Russian exports. 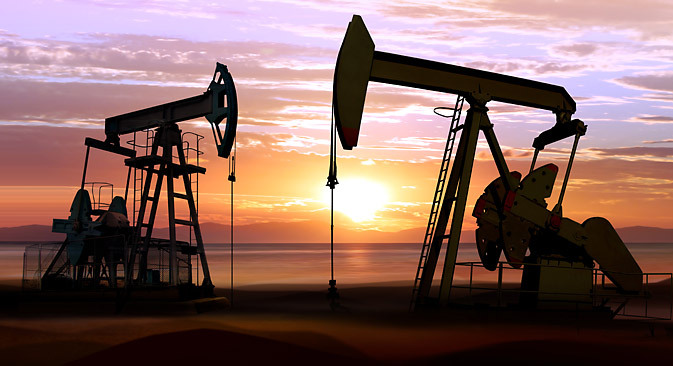 As a result, the future of the oil market remains unclear, with falling growth in China and even the United States suggesting further reduced growth of demand and a continuing glut.